“Finally! 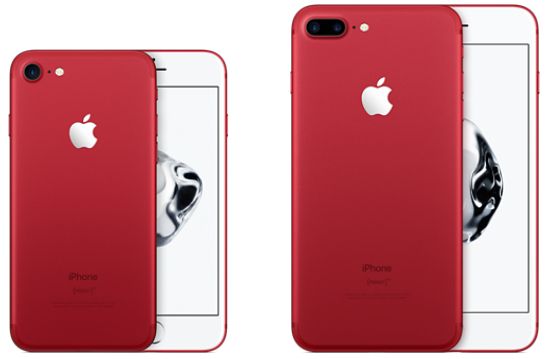 You can now order the new (RED) iPhone and revamped iPad from the Apple online store,” TNW reports. MacDailyNews Take: Get ’em while they’re hot! If I already have an iPad Air 2 why would this iPad be a better choice? it wouldn’t be. the new iPad isn’t really a step up from the Air 2, but a reset of the baseline. the current and rumored upcoming iPad Pros are the “better choice” upgrade from the Air 2. I had my iPad ordered within a few minutes after the store came back on line. Space Gray 128GB version with wifi only. I’m upgrading from an original iPad. Shipping date says I’m supposed to receive it April 4th or 5th. I went to my local Apple Spokane store today to get one. They get stock on Tuesday. That’s when I’ll get mine. This one will be replacing the original I bought back in 2010, it died a peaceful death last November. Been waiting for the new models ever since then. I bought the same, upgrading from iPad 2. Red phone with jet black bezel = YES!